Apple introduced the iPhone 7 and iPhone 7 Plus alongside the Apple Watch Series 2 at a special live event on September 7, 2016 held at the Bill Graham Civic Auditorium in San Francisco. 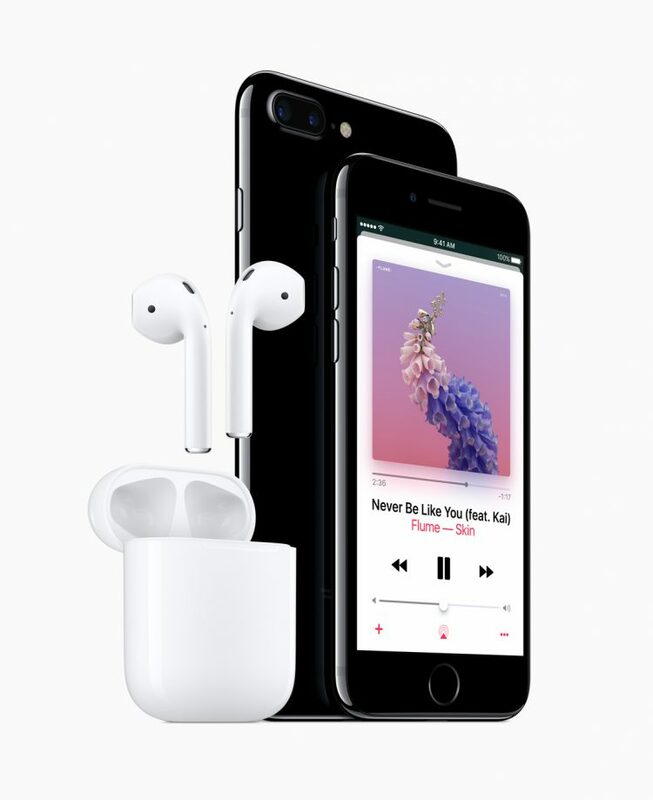 The updates to the iPhone line include water resistance, two new colors (black and “jet black”), faster processing, camera improvements, stereo speakers, but most noticeably the loss of the standard stereo jack for headphones and other audio accessories. The new iPhones will be available for preorder on Friday September 9, 2016 and will begin to ship one week later on September 16, 2016. Each model will be available in 32GB, 128GB, and 256GB capacities, but the “jet black” iPhone will not have a 32GB option. iPhone 7 and 7 Plus will ship with EarPods that make use of the Lightning connector rather than the jack, and customers will also receive a free Lightning-to-stereo jack adapter in the box so they can continue to use existing equipment. Apple also announced that later this year they will release AirPods, a wireless version of their popular in-ear headphones. AirPods will work for five hours of continuous listening, and can be recharged in their portable case. Some of the most notable updates to the latest iPhone versions were to the camera systems, which now include improved range of color, a larger f1.8 aperture and six-element lens, and the iPhone 7 Plus includes a second telephoto camera for improved photo quality and depth of field. Both devices will include a seven-megapixel FaceTime camera on the front and bright quad-LED flashes on the back that are 50% brighter than previous versions. Nintendo is finally bringing their iconic character Mario to the iOS platform with the announcement of Super Mario Run, a mobile game where the popular plumber runs to collect coins. Along with the iPhone announcements, the company also debuted the Apple Watch Series 2, and improvement to the Apple Watch. 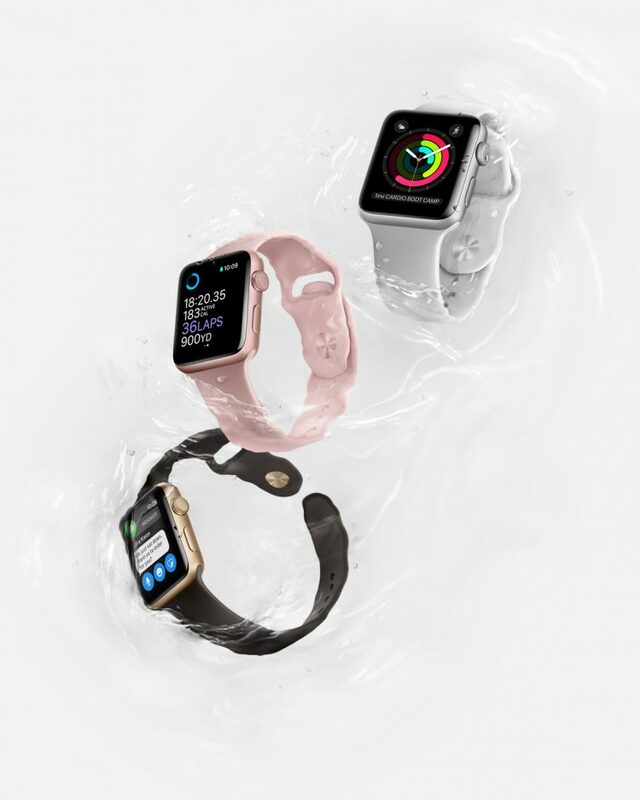 The new watch features a brighter screen, improved GPS features for independent use, and improved water resistance up to a depth of 50 meters. The Apple Watch Edition line of high-end versions of the smartwatch now also includes a white ceramic version. Apple Watch users will also soon be able to play Pokémon Go directly from their wrist by checking Pokéstops, searching for nearby Pokémon, and even tracking walking distance for egg hatching. 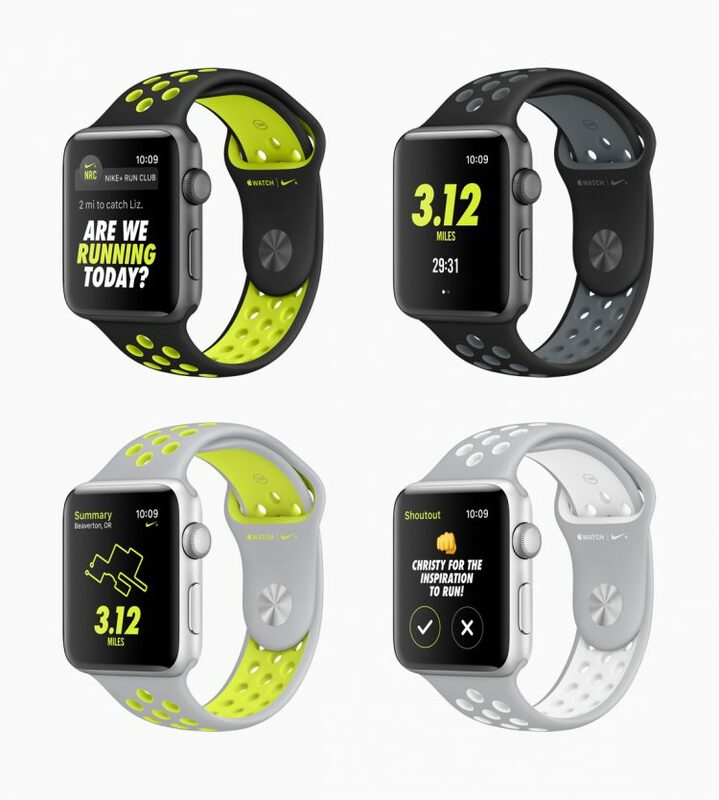 Through a partnership with Nike, Apple is also introducing the Apple Watch Nike Plus, a model of the Apple Watch designed with special features for runners. There is also a new Nike+ Run Club app that will launch soon to let runners share their progress and stats with friends.